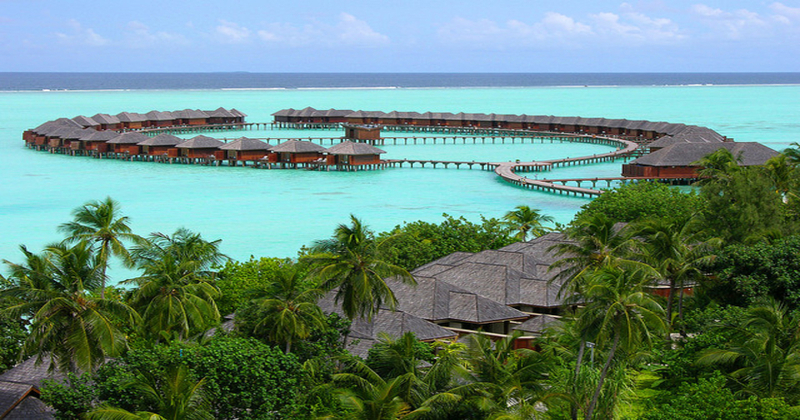 This luxury resort situated in South Male’ Atoll offers beautifully appointed villas both on land and water. Olhuveli Beach & Spa Resort presents you with the opportunity to experience the un-spoilt charm of the Maldives in surroundings that have been carefully developed to give you all the modern comforts while in no way detracting the island’s natural beauty. Surrounded by a powdery white sandy beach and an immense crystal clear lagoon, a truly excellent island with plenty of private sandbanks where paradise searchers escaping from the compressions of daily modern life can forget the outside world and let go of all inhibitions. It is truly a place where mind and body can relax, the senses can be refreshed and spirit will feel calmed. Set in the turquoise heart of the Indian Ocean that is the Maldives, Olhuveli is located at the tip of South Male Atoll, reachable by a 45-minute exciting speedboat transfer from the international airport. Consult our specialists to add more Spa, Yoga & Ayurveda treatment sessions to make your stay extra exceptional.